UPS Ground the next business day. 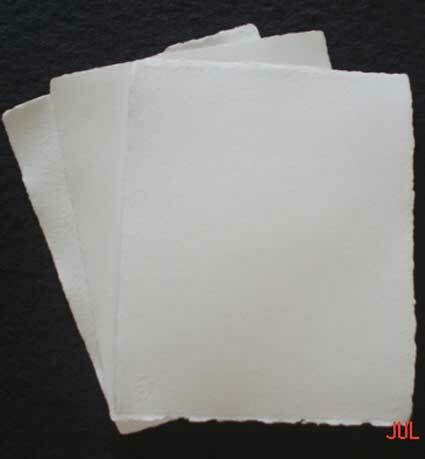 We make many types of paper in a range of colors, sizes, and weights. Most items can be provided with cold pressed or hot pressed on both sides, or cold pressed surface on one side and hot-pressed on the other surface -- which we call "Both". Use the Selectors below to find the right paper for your project, or if you prefer, call 1-800-757-8946 to talk with Travis or Fran. 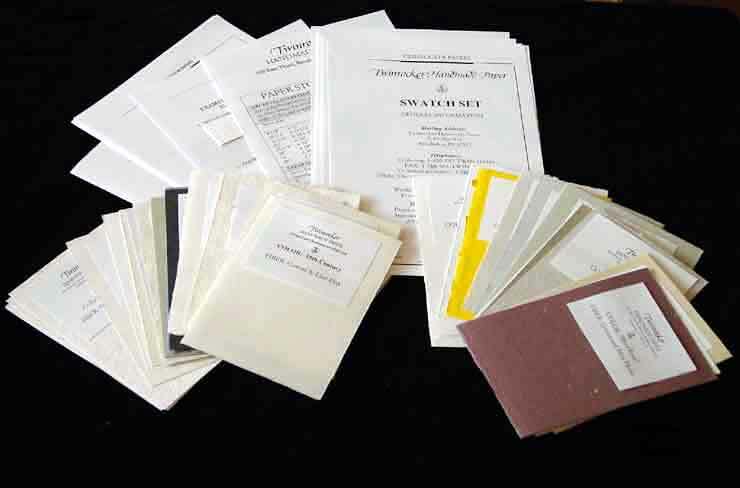 About 40 labeled samples with information on inventory, prices, thickness and surface. Three sheets of 8" x 10" White Watercolor paper, one of each surface: Cold Press, Hot Press and Rough. To view or order, scroll/select a watercolor paper from the list below and then press "Go"
To see the current paper inventory or to order, scroll/select a paper from the alphabetized list below and then click on "Go". select them below then click the "Select papers" button below.